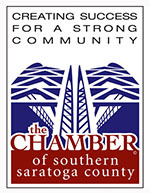 Thanks to the support of our Chamber members and the Southern Saratoga County community, this program will provide for local families in financial distress for a 30th consecutive year. This program will provide holiday cheer for approximately 2000 children. The families of these children, infant to 18 years old, are enduring financial hardships that make the extra expense of the holidays a cause for stress and, unhappiness in what should be a season of joy. The Chamber Angels are entrusted to find sponsors or shop for each child, if necessary, to make sure every child identified has their holiday gift wishes fulfilled. 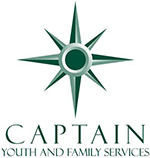 In collaboration with the Southern Saratoga YMCA, Franklin Community Center, Mechanicville Area Community Services Center and CAPTAIN Youth and Family Services, the children are identified through school districts and county agencies that then pass on the children’s ages and wish-lists to the Southern Saratoga County Chamber Angels. Watch this video clip to bear witness to the generous nature of our business community made possible through the Chamber Angels program. Video by Rosenbaum Media Group: a company that integrates HD video into PR, marketing, advertising and social media campaigns.